Newly acquired New York Knicks guard Derrick Rose is the subject of an active criminal investigation over sexual assault allegations by a woman who said she was gang raped by the star athlete and his two friends in 2013. Los Angeles Police Department detective Nadine Hernandez confirmed the proceedings in a letter dated Sept. 22 to Brandon Anand, the attorney who is representing the woman in her civil lawsuit against Rose. The missive noted that the alleged victim’s identity will remain confidential throughout the criminal investigation—a stark difference in her civil suit. U.S. District Judge Michael Fitzgerald ruled on Sept. 20 that the woman must reveal her identity to proceed with the civil case, which is set to begin Oct. 4. She is seeking $21.5 million. 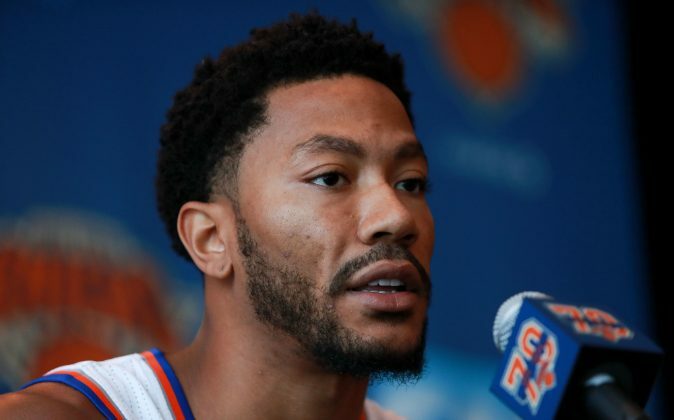 Rose has maintained his innocence throughout this ordeal, which he reiterated during NBA Media Day on Sept. 26. Rose said the LAPD never contacted him and that he was unaware of a criminal case being filed against him. If Rose doesn’t settle the case with his accuser, the October trial date could conflict with the upcoming basketball season, given that the first day of the trial marks the start of preseason basketball. For Rose, his main concern is basketball and his contribution to the team with playoff aspirations. The Knicks acquired Rose from the Chicago Bulls in June, following several injury prone seasons with his hometown team. Rose averaged 16.4 points in 66 games last season. The Knicks missed the playoffs and finished 13th in the Eastern Conference, with a 32-50 record last season.